Working with dangerous goods can be – well, dangerous – so it is essential to adhere to specific rules and regulations to lessen the chance of accidents. When shipping hazardous materials, the risk can be higher, especially if the shippers and everybody involved in the supply chain do not follow proper packing and storing instructions. 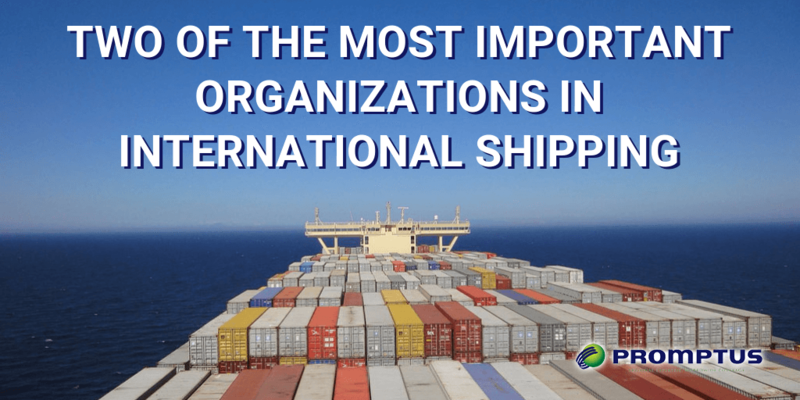 Governing organizations like the International Air Transport Association (IATA) and the Internal Maritime Organization (IMO) are responsible for overseeing and enforcing guidelines, codes, and ordinances that help to keep the crew, cargo, and transport vessels safe. What is the IMDG Code? To help reduce tragedies overseas IMO introduced the International Maritime Dangerous Goods (IMDG) Code. This code is an extension of the SOLAS treaty, whose current version was implemented in 1974. 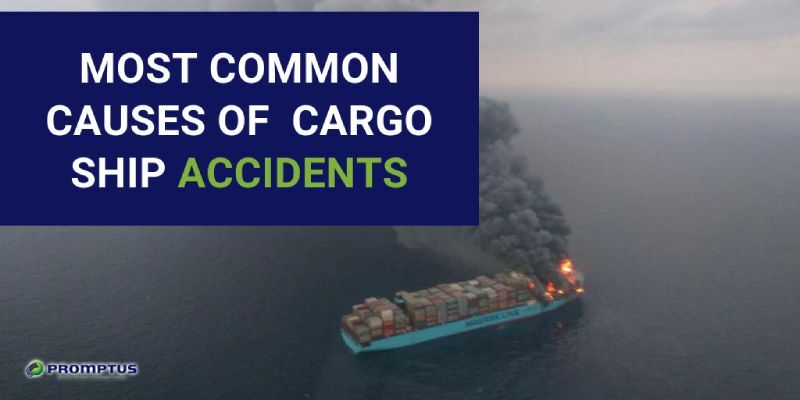 Officially known as the International Convention for the Safety of Life at Sea, SOLAS is responsible for dealing with many aspects of maritime safety, including the correct handle and transport of dangerous goods. Maritime officials adopted the IMDG code in 1965 and introduced them as recommendary, but not necessary, guidelines for transporting dangerous goods in packaged form. It wasn’t until 2002 that the IMO upgraded it to mandatory under the backing of the SOLAS convention. The Code provides details relevant to all hazardous materials, including individual substances, elements, or articles. 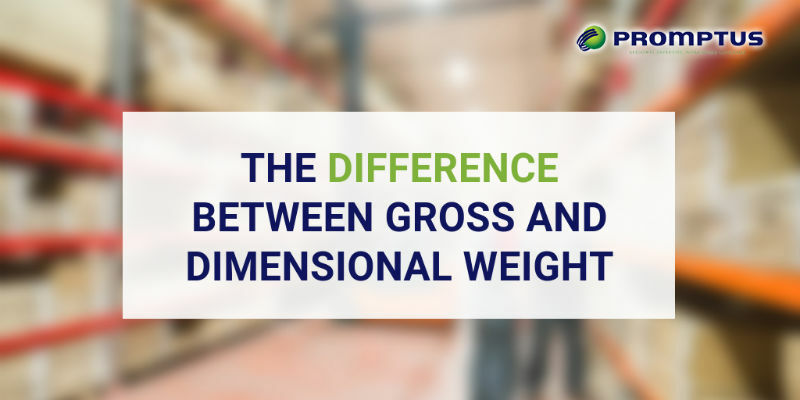 It also covers matters related to proper packaging, container stowage and traffic, and necessary guidelines on isolating incompatible materials. Where IMO handles ocean transportation, IATA is responsible for air transportation, including import and export cargo. Part of their responsibilities includes setting the standards for transporting HAZMAT products, which is outlined in the Dangerous Goods Regulations (DGR). For over 60 years, the international airline industry has accepted the regulations and instructions provided in this guide as the global standard for handling dangerous goods. The guide is regularly updated with relevant new information. The 60th edition, for example, released new changes to the DGR on January 1, 2019. 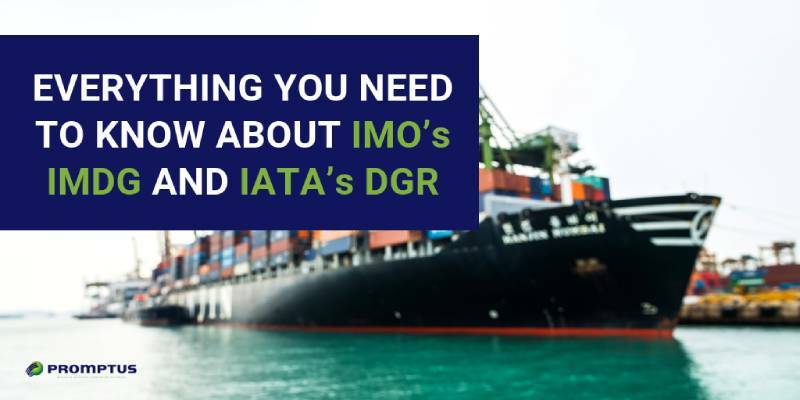 Under these international regulations, the DGR requires shippers to fill out a specific form that states the cargo has been properly packed, labeled, and declared as per IATA Dangerous Goods Regulations (DGR). This form, known as the DGD (dangerous goods declaration), enables shippers to identify all the details of the hazardous materials to ensure all parties handle it accordingly. For your convenience, IATA allows shippers (or a Licensed Freight Forwarder) to electronically file the Shipper’s Declaration for Dangerous Goods known as the e-DGD. This option also provides access to an electronic database that provides members of the shipping industry the ability to both digitalize and share their data using the platform. What Do These Regulations Cover? While the IMO and the IATA’s guidelines vary based on the different stipulations related to the sea and the air, respectively, the goal is ultimately the same: to help prevent any risks associated with the transport of dangerous cargo. While it is the personal responsibility of every member of the import/export industry to familiarize themselves with the corresponding codes according to their shipping needs, we understand some areas can be more complicated to understand than other. 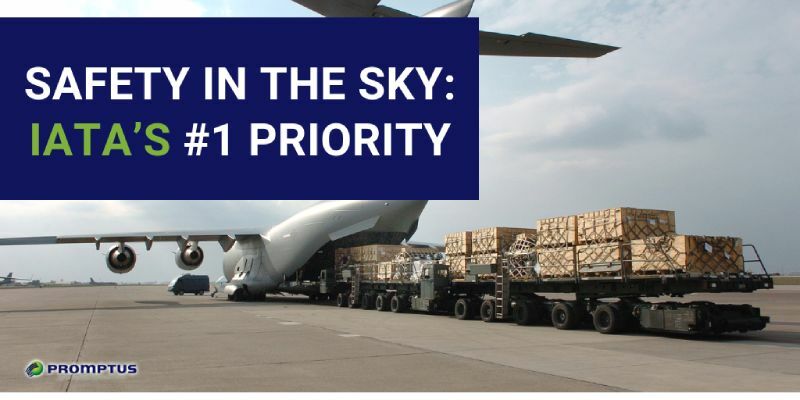 At Promptus LLC, we have over 15 years of experience working with air and ocean shipping services, and we work diligently to stay on top of new guidelines introduced by IATA and IMO. Our team of Licensed Customs Brokers can help you go coordinate shipments involving dangerous materials to ensure all the necessary rules surrounding paperwork, packaging, and transport are successfully met. Contact us today to get a Free Quote for our freight forwarding services! When it comes to regulating and governing the thousands of cargo ships that are travelling the world’s waterways on a daily basis it can’t be the responsibility of any one government but of all governments interested in a well-functioning mechanism to secure standardization, consistency and proper guidelines to protect the shipping industry and most importantly the lives of those of at sea. Of that thought the IMO has created treaties, committees, and an organization formed over the years with the dedicated responsibility of ensuring the safety of those at sea. The SOLAS Convention (also known as the International Convention for the Safety of Life at Sea), is regarded as one of the most important treaties to be signed in to maritime law for the protection of merchant ships. The very first iteration of the SOLAS treaty was adopted following the Titanic tragedy, in 1914. The version used today, sometimes stylized as SOLAS 74, has seen many amendments and changes over the years, and as new provisions are introduced, new addendums are made. 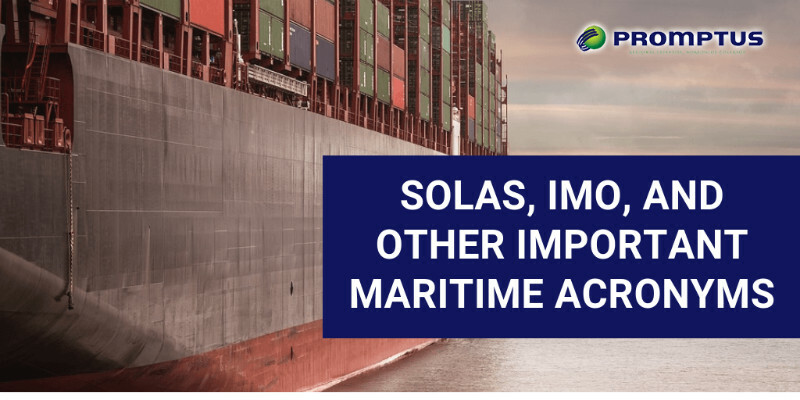 Operating under the IMO, or the International Maritime Organization, SOLAS determines the minimum standards of safety that must be followed for the construction, maintenance, and operation of merchant ships. These regulations are enforced by the various Flag States, under which certain ships are assigned. These Flag States must ensure that their merchant’s vessels are compliant with the minimum required standards to ensure the safety of the boat, its crew, and any passengers. Certificates are distributed via the Convention to act as proof that the necessary authorities have inspected the ship and deemed it acceptable for transport. How Does the IMO Work? The development of international regulations has proven to be the best way to manage a large number of maritime vessels transporting both goods and people across the seas. Starting sometime in the 1900s, various countries around the world began drawing up treaties to help introduce better maritime practices and ensure safety for everyone involved. Shortly after the induction of the United Nations, a conference was held in Geneva, Switzerland in 1948. The first version of IMO was then born, under the name Inter-Governmental Maritime Consultative Organization (IMCO). In 1958, the UN adopted the IMO convention we know today (the name changes finally came in 1982) and the organization began meeting the following year. By this time, treaties like SOLAS were already in place, but the IMO set out to update them to better reflect the changes of the decade. That was their first order of business, and SOLAS, 1960, was introduced. The seven consequent Sub-Committees help to support the efforts of these main Committees, and they act under the direct command of the MSC and MEPC. Like the other Committees, their work is designated by their respective titles. Maritime safety is about much more than ensuring the security of cargo moving overseas. It is about ensuring proper construction of merchant transport vessels, helping to reduce pollution, crime, and even facilitating traffic on the seas. Their slogan, “Safe, secure, and efficient shipping on clean oceans,” helps to highlight the IMO’s goals. The sub-committees directed by the Maritime Safety Committee (MSC) and the Marine Environment Protection Committee (MEPC) work to help uphold those goals. Here is a brief breakdown of each Sub-Committee and how they contribute to the IMO. 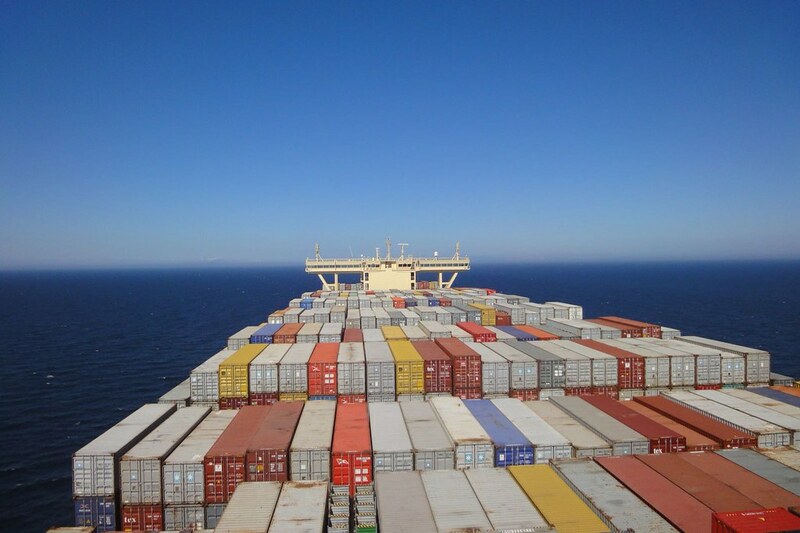 The primary responsibility of the CCC, as the name suggests, is to help regulate the type of cargo containers. In specific, they help to implement codes, as well as survey and certify that everyone is following regulations surrounding cargo operations and carriages. This can include things like the transportation of packaged dangerous goods, bulk gas cargoes, solid bulk cargoes within containers. The CCC also helps to evaluate any hazards related to pollution or environmental concerns and helps to ensure all parties are in cooperation with the UN, and any other important agencies, like IGOs and NGOs. Self-explanatory enough, this sub-committee is responsible for the “human side of things”, which can include training and certification of any persons that may need it. The HTW also provides guidance with issues like fatigue or illness, and update and revise IMO model courses. The III is tasked with matters related to IMO treaty instruments, many of which include the Flag States. For example, they III must review the rights and responsibilities of the Flag States, assess and review the current level of implementation for various IMO instructions by the States, and be able to identify any reasons why there may be difficulties, if any, implementing provisions of current or new IMO instruments. The NCSR works in liaison with the International Telecommunication Union (ITU) and the International Civil Aviation Organization (ICAO) regarding maritime and aeronautical radiocommunication and search & rescue matters. They also deal with all Government obligation related to the safety of navigation, carriage requirements and performance standards for shipborne navigation equipment, and operational protocols. Some of which are regarding dangerous situations, collisions and grounding, voyage planning, and measures recommended for the international maritime search and rescue operations. As you can imagine, this Sub-Committee is in charge of implementing regulations that help to prevent and reduce pollution of marine environments. This pollution can be related to ships or other vessels, hazardous materials, or harmful aquatic organisms, the latter of which can get into ballast water and sediments and cause damage. The PPR is also responsible for environmentally safe recycling procedures, such as with ships and containers. The SDC, formerly known as DE, FP, and SLF, helps to enforce all matters regarding, as the name states, the design and construction of maritime vessels, including materials, measurement matters, certifications, and load lines. This Sub-Committee also helps to ensure the safety of fishermen and their ships. Like the SDC, the SSE focuses on ship-related matters, in this case, the systems and equipment of the vessels. This can include things like machinery, electrical equipment installations, and the testing (and approval) of new systems. The SSE also implements life-saving appliances, as well as takes regular analyses of incident and casualties related to a ship’s system or equipment. The work of the IMO and the UN is extremely important to anyone who works with ocean shipping, but it isn’t always the easiest to comprehend. With over 15 years of experience with global logistics, Promptus LLC can help you understand exactly what all the important PGAs and Alphabet Agencies do and which you should familiarize yourself with. Getting a Licensed Customs Broker on board can also help to ensure you don’t forget any important documentation that might get you in hot water with the IMO, resulting in additional fees or penalties. Contact us at 305-687-1405 today to get a quote for our services! Who Are IMO and IATA? The fact is that the world of today could not exist without International shipping and knowing the regulations and the processes that are involved in the shipping of goods around the world is of vital importance. There are two very important organizations that have been and are of major support to the shipping industry: IMO and IATA. Who Governs Safety and Security in International Shipping? The IMO and the IATA are two major organizations that set the rules and standards for safety and security in international transportation. They each play their own significant role in helping to regulate ocean and air shipping standards. The responsibility of maritime safety and security of the seas lies with the IMO, or the International Maritime Organization. This entity also aids in preventing the pollution of the seas, get involved in legal international affairs, trainings, conferences, etc. As an agency of the United Nations, the IMO is “the global standard-setting authority” in charge of regulating the safety and environmental performance of all international shipments. The main role of the I.M.O. is to develop a framework for the shipping industry that can be used universally and offers an equally fair standard that all import and export companies can easily follow. Since the shipping industry is of a true international nature, and cannot be regulated by any one country or government, it requires a regulatory entity to set the standards and then implement the rules worldwide. When it comes to ocean shipping, the IMO is the governing power that develops, enforces, and maintains maritime regulations. Their first conference took place in 1960, which led to the creation of the International Convention on Safety and Life at Sea (or SOLAS) treaty. As a result, more conventions and international conferences took place and continue throughout the years. One of the many responsibilities of IMO is also maritime security, which became a top priority following the hijacking of the Italian cruise ship Achille Lauro, in 1985. The organization took necessary strides to implement security guidelines that would help prevent future unlawful acts against passengers and crew members aboard ships. Another area the IMO is responsible for is pollution and environmental issues related to the sea. To accomplish this mission they work to develop universally understood guidelines, like sustainable maritime transportation concepts, and international codes, like the Code of Safety Practice for Solid Bulk Cargoes (BC Code), or the International Maritime Dangerous Goods (IMDG) Code. As the name suggests, the IATA is the global authority on the world’s air transportation, representing 82% of the world’s aviation traffic. The association was founded in 1945, in Havana, Cuba, and today it extends to some 280 members from 120 nations around the world. The IATA is a conduit for inter-airline collaborations, helping to promote safe, secure, and economical air services since its inception. Reliability is paramount when coordinating airline transportation, so it is a fundamental priority of the IATA to ensure global standards for airlines, both passenger and cargo. Aside from helping to ensure the welfare of any person aboard any aircraft, as well as the integrity of any merchandise, the IATA helps create regulations that make the transportation of goods by air safe and straightforward. For example, IATA’s Dangerous Goods Regulations (DGR) is the trusted source for correctly preparing, handling, and accepting dangerous goods shipments by air. The IATA’s support to airline industries is vast and entails duties like being responsible for the creation of identification codes for the airlines – which are essential for identification of an airline, destinations, and essential documents – as well as codes for international airports that are used to help develop Air Traffic Management technology. At Promptus LLC, we recognize the importance of these organizations, and we strive to uphold and abide by their guidelines and rules. Our dedicated team works closely with all clients to ensure that they are familiar with the various organizations, laws, regulations, and applicable duties that might be necessary for a successful shipment. With over 15 years of freight forwarding experience under our belt, we can help you sort through any complicated documents or shipping routes while helping you understand every step of the process. Contact us today to help you evaluate your shipping needs. 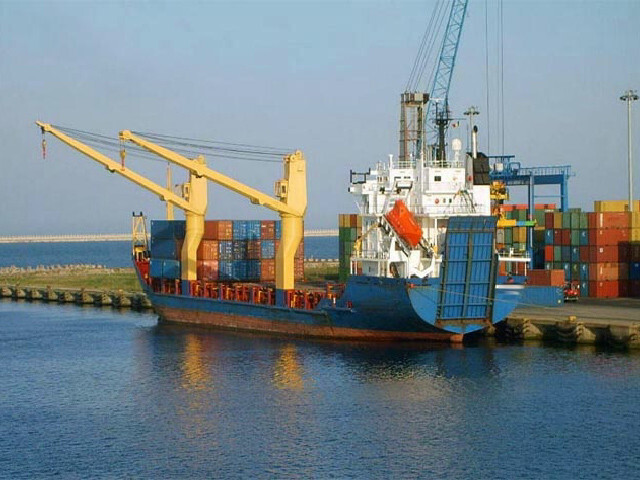 Cargo shipping and transport is a valuable service, utilized by countless industries worldwide. However, not everyone knows exactly what they need or how to facilitate the import or export of goods. That’s where a 3PL comes in, also known as a third-party logistics company. Freight forwarding companies can help you coordinate shipments both domestic and international. Ideally, you can find a company that offers full-scale services to help you with every aspect of the process. Finding the right one can take some time, therefore ask questions so that you can be sure they can take care of your shipping needs. 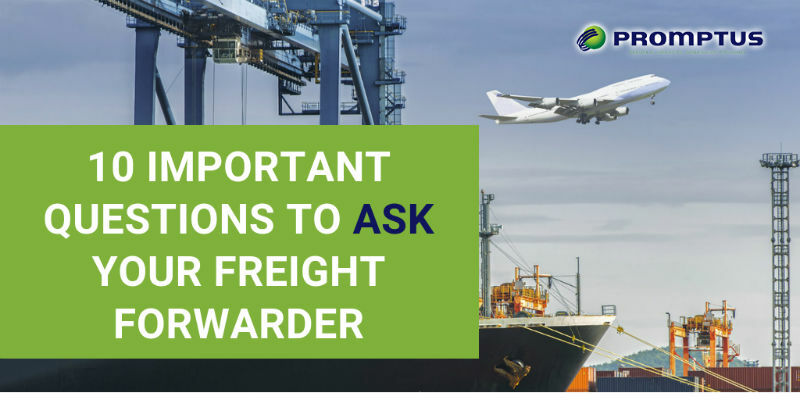 Here’s a list of vital questions you should ask and know their answers before moving forward with a freight forwarding company. 2. Do You Provide Cargo Insurance? In many cases, importers and exporters make the mistake of assuming that the carrier automatically provides insurance that will cover the cargo. Unfortunately, however, this is false. Unless the company issues you an insurance certificate your shipment is uninsured by the carrier, and it will be under your responsibility. We highly recommend that you ask your potential Freight Forwarder if they offer cargo insurance and their rates. 3. Can You Help Me Clear My Shipment Through Customs? Unless you are working with a freight company that is also a Licensed US Customs Broker, your logistics company will leave clearing shipments and submitting paperwork to the US Customs and Border Protection agency entirely up to you. The trouble is, this is an essential service in the supply chain and it can disrupt the process of getting your cargo to its final destination within the designated time frame. Additionally, if your freight forwarder does not offer customs brokerage, you’ll have to find a separate company to handle the clearance of your import shipment. Promptus is Licensed by the US Customs and Border Protection agency to offer Customs Brokerage services in any port or airport in the United States. 4. What Does Your Rate Include? As with any service you hire, you deserve to know exactly what you are paying for. Some freight forwarders may choose to present their rates as a lump sum or a totaled amount, which can work well if they detail their services in the quote. If the services are not transparent, be sure to ask. There are many fees involved in a simple transaction that companies might present in their own way. Here’s an example. Let’s say you need an LCL import shipment, your logistics bill might include the freight from origin to port of destination, but you might incur additional fees with the handling and storing charges of the deconsolidation warehouse at the arrival point. 5. What Are the Costs at the Destination (When Exporting)? Here’s one you might not always think to ask. There will be costs at the destination, but these will vary depending on the carrier, the port, and the country of destination, etc. In many cases, the forwarder arranging the shipment can help give you an estimate of these costs, which you or the consignee of the shipment will have to pay at destination. 6. Are There Any Requirements to Be Aware of When Shipping to The Country of Destination? Before arranging a shipment to any country, you should first find out if there are any specific regulations or requirements you need to be aware of to export your goods. Your logistics team or any freight forwarder you are considering should be able to inform you. Typically, the requirements are related to the type of cargo you are shipping. For example, certain food products require a phytosanitary certificate, which must be issued by the US Department of Agriculture. Some countries will not accept your cargo unless the appropriate document has been issued by the proper entity in the country of origin. In cases like this, our team will guide you through the process. 7. Do You Have a Tracking System? Tracking is an essential tool in today’s logistics world. For safety and security reasons, more and more customers are requesting real-time information and increased visibility on their cargo. Having this information gives customers peace of mind. Promptus uses a powerful transportation management system (TMS) that gives clients instant information for any shipments that we are assisting with. Our company provides access to documents, packing lists, commercial invoices, and will even provide pictures of your cargo if we receive it in our warehouse. 8. Do You Operate Your Warehouse? While you might think this a given for a logistics company, with the ever-changing technologies in today’s virtual world, some freight forwarder can outsource their services. Be wary in these cases, as these companies might operate under the guise that their warehouse or services are under their direct supervision and control, even though this is untrue. While outsourced logistics certainly have their place, you have a right to know exactly who is handling your cargo. A freight forwarder that operates their own warehouse can be beneficial for you, as it allows you more control and flexibility over what happens with your goods. 9. How Quickly Can You Provide A Quote? At Promptus, we believe that it shouldn’t take longer than 24-48 hours to deliver a quote, though some cases may require more time than others. 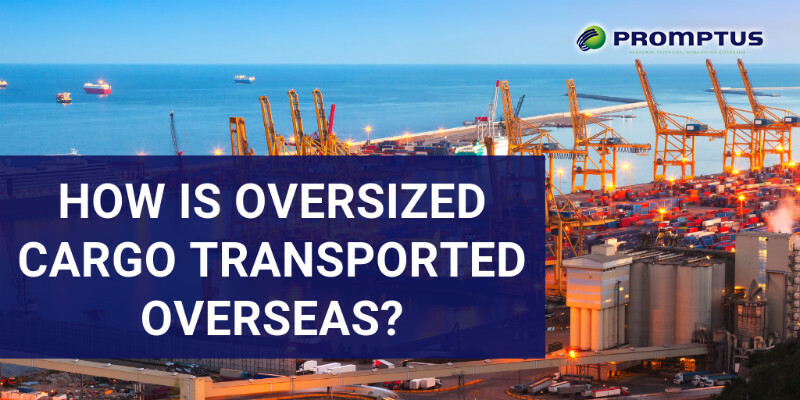 The response time for a freight forwarding quote can vary based on the type of equipment, the country of origin, the kind of cargo, and other factors. At Promptus we will always tell the customer upfront the estimated time when they will receive our rates proposals. 10. What Options Do You Offer For Assisting With Import and Export Compliance? As an importer or exporter, you are expected to comply with specific regulations and responsibilities. This is a crucial part of executing a successful transaction. Promptus takes pride in their experience and knowledge in the area of import and export compliance. Our goal is to guide you and simplify the process. We will also advise you of any responsibilities you should be aware of, such as declaring the cargo correctly, having the proper import permits or export licenses, paying any necessary duties and taxes to CBP, and more. Our team of experts has over 15 years of experience and is fully prepared to help you every step of the way. Do you have more questions you’d like to ask to determine exactly what type of freight forwarding assistance you need? Promptus is happy to help! We specialize in a number of services, including ocean shipping, Customs Brokerage, and warehousing & distribution. We own our own facility, which is licensed as a Container Freight Station & IBEC to consolidate and deconsolidating import cargo, as well as to handle cargo in transit. Contact us today! We’d be happy to answer any additional questions and provide you with a Free Quote for your global logistics needs. When it comes to transporting goods, there are a number of different methods you can use to ship merchandise from point A to point B. The question is, which do you choose? Which is going to be the most cost-efficient while ensuring that your items arrive safely to their destination? There are two essential modes of land transportation: OTR (over the road) and Intermodal (combination of rail and truck). 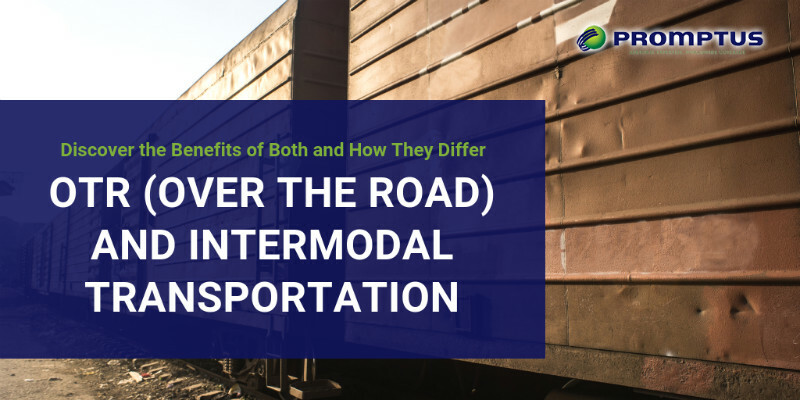 Both are commonly used, but then the question remains, should you opt for an OTR shipment or coordinate intermodal transportation? What Is OTR and Intermodal Transportation? If you are unfamiliar with these terms, we can break them down for you. Intermodal refers to goods that are transported using more than one mode of transportation, normally trucking and a train; on the other hand, OTR or over-the-road is when cargo is moved a long distance (long haul) normally by truck. Flexible, Fast Delivery: since truck drivers aren’t stuck following a particular schedule, like trains, you can schedule a shipment to fit the timeframe you need. This method is especially useful for short-notice or expedited shipments. Larger orders: OTR transportation typically works for high volume shipments. Security: shippers feel more confident transporting high-value goods on a truck with a driver. High Demand: With diminishing numbers of truck drivers and increasingly high volumes of OTR shipments being scheduled, it might prove challenging to find a quality trucking company to meet your needs. Traffic Congestion: While trains are the only ones on the tracks, trucks must share the road with cars, other trucks, motorcycles, and other vehicles. In the event of closures, traffic jams, or accidents, your shipment may run into delays. Higher Potential for Damage: OTR shipments tend to be handled multiple times during its travel especially LTL cargo, which increases the risk of damage to your packages. Carbon Emissions: With the ever-increasing importance of environmental sustainability, shippers are opting for more green solutions. The transportation industry is responsible for creating around ⅓ of all carbon emissions, and electric semi-trucks are still slightly out of budget for many companies. Infrastructure: The rail network in the United States is immense, and it is expanding more and more each year. More than $600 billion has gone into our freight railroads since the 1980s, which correlates to the massive expansions being made to rail transport all over the country. Developments are slated to continue well into 2020. 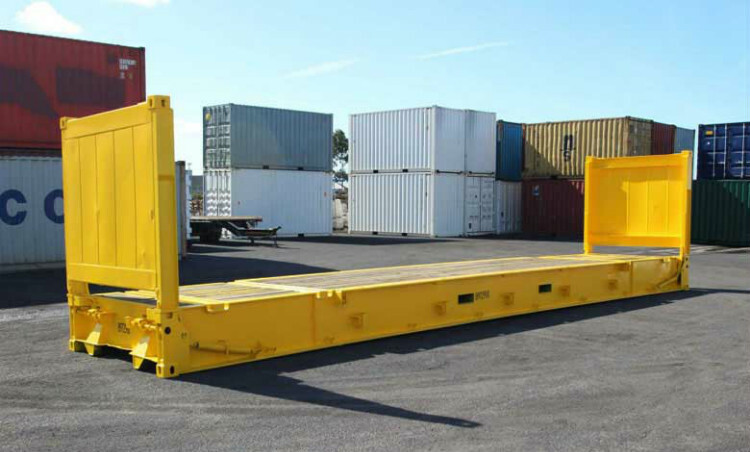 Reduced Risk of Damage: Rail transport requires containers to be stacked carefully and secured onto flatcars where they remain untouched until they are unloaded. This dramatically reduces the chance of them shifting in transit. Reliability: Trains run on a set schedule, and they are governed by major transit laws, rather than individual trucking companies. They are also less impacted by poor weather, which means your items arrive at the scheduled time. Environmental Sustainability: Trains have a significantly smaller carbon footprint than cars or trucks do. When you opt for an intermodal shipping method, you could cut your carbon emissions up to 75%. Cost: Generally speaking, the cost of shipping a container or a pallet of goods is lower when traveling by rail. Longer Transit Time: As you can imagine, transporting something via train can take longer than a truck. Since rail systems work on dedicated tracks and may make multiple stops before reaching your destination. If you are on a tight deadline, rail transport may not be your best bet. Additional Services Needed: If you opt for intermodal transportation, you will also need drayage service. This means coordinating another service, scheduling an appointment, and staying on top of another step before your goods can arrive at their destination. Not Available Everywhere: While infrastructure is continually evolving, there are still some places that do not have a ramp set-up for rail transportation. Currently, Class I freight railroads are only available in 44 out of 50 states. Still not sure the route to take? Promptus LLC offers expert freight forwarding services from our team, who has over 15 years of experience with global logistics. We can help you figure whether on-the-road or intermodal shipping is better for you, and then we can coordinate an LTL, FTL, or even small package shipments anywhere in the country. Call us today at 305-687-1405 for a free quote! Every year, hundreds of container ports throughout the world receive merchandise at their docks. Some maintain a regular influx of goods annually, where others surpass “regular” and go straight for extraordinary. The average ship makes about two port calls a week, with easily over 9,000 occurring in a single year. For high-traffic ports, workers can easily unload over 10,000 linear ships in a single week. 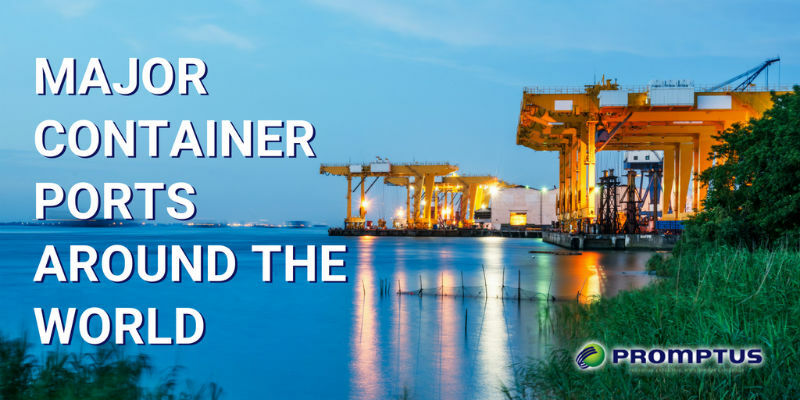 A container port is a facility where containerships and cargo containers are handled and sorted while they await different transport vehicles. The goods that pass through these ports often use intermodal containers to get them safely to their destination. The process requires a drop-off point where an inspection may take place before loading the cargo onto a truck or similar transportation. An inland container port, which handles transshipments between land vehicles, such as trains and trucks. Both types of these ports have space to house loaded containers awaiting further transportation and empty containers that need to be loaded. To be considered a major port, the facility must have the capabilities to discharge 100,000 tons of cargo monthly. How Much Cargo Moves Through A Container Port? In 2010, the Shanghai, China port took its title as the largest container port in the world. Since then, it has held its place at the top, going as far as to make history in 2014. Just how many TEUs (Twenty-foot Equivalent Unit) did they handle that year? A record-setting 35-million. For a better idea of exactly how much traffic major container ports see annually, take a look at the numbers from the top 10 container ports in 2017 and previous years. As you can tell, Asia seems to dominate the market, which is no surprise considering how much merchandise they produce on a day-to-day basis. 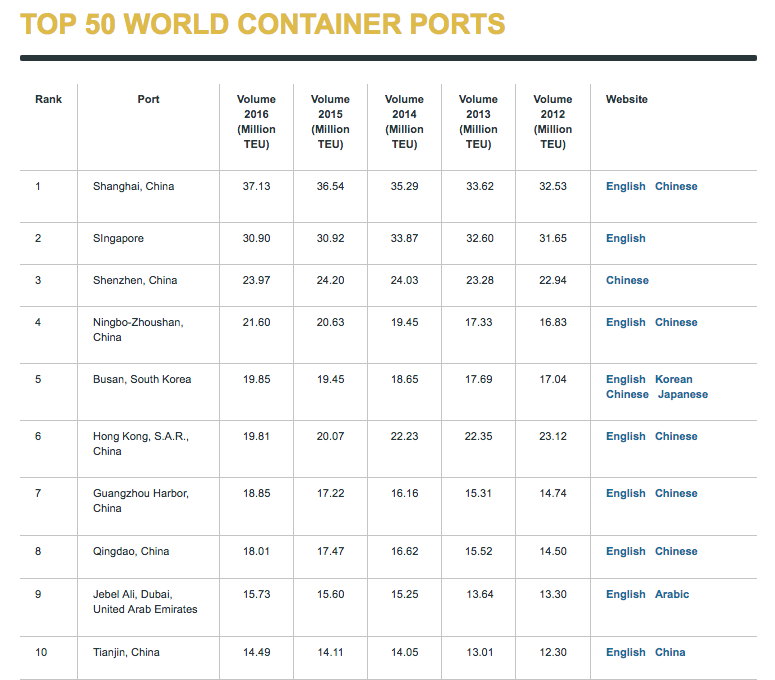 The United States didn’t make the Top 10, but major ports on both the east and west coast managed to make the Top 25. For even more information on container ports around the world, see the full list of the Top 50 Container Ports of 2016. Looking To Coordinate A Major Port Shipment? One of the most significant advantages of utilizing a major port is the confidence of knowing that they have the space, skills, and ability to process your merchandise correctly. If you are unsure of where to start or how to handle shipping to a major port, contact Promptus, LLC today. We can help with all of your freight forwarding needs, including ocean shipping and warehousing. Give us a call at 1-877-776-6799 to get a Free Quote for our services!